Young entrepreneur Kim Lato was still a Marketing Management student at De La Salle University in 2006 when the idea of setting up a gadget store in a digital platform crossed her mind. More than 10 years later, Lato’s online gadget store Kim Store has become one of the biggest players of e-commerce in the Philippines. Coming from an entrepreneurial family, Lato didn’t find it hard to welcome the idea of starting her own business. The young entrepreneur took advantage of Multiply, the now defunct social sharing website, to sell mobile phones and gadgets. “I used my study room as the storage of all the products I would sell back then,” she added. 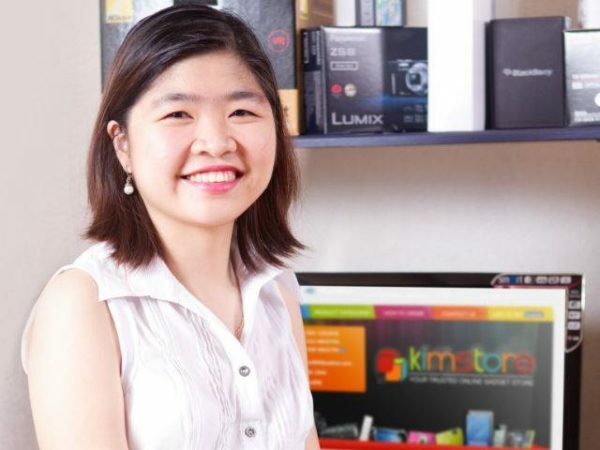 Because Lato was still studying at the time she started Kim Store, she had to balance both her academics and online business through proper time management. Eventually, a lot of customers were drawn to her store because of its high quality products and affordable prices. But according to Lato, her online store stood out because it also provides good customer service. But when Multiply closed in 2013, Lato decided to launch Kim Store’s own website to accommodate customers. “I started to worry. Everything was on Multiply: the e-commerce, the payment gateway, the customers. I started to think, ‘saan ako babahay?’ I was on Facebook and Twitter though, and I saw people were searching for Kimstore, so I knew people were still looking for me. So in 2013, I finally set up my website,” Lato told Cyberpreneur. Today, Kim Store is considered one of the leading local retailers of the latest gadgets. From a simple study room, Kim Store now has a four-storey building in Tondo that houses all aspects of the operations including selling, marketing, customer care, logistics and deliveries. In her interview with MoneyMax.ph, Lato advised aspiring entrepreneurs to take the risk and keep up the faith. Watch her interview with PLDT.